They are little known to history: Sydney Howard Gay, an abolitionist newspaper editor; Louis Napoleon, a furniture polisher; Charles B. Ray, a black minister. At great risk they operated the underground railroad in New York, a city whose businesses, banks, and politics were deeply enmeshed in the slave economy. In secret coordination with black dockworkers who alerted them to the arrival of fugitives and with counterparts in Norfolk, Wilmington, Philadelphia, Albany, and Syracuse, underground-railroad operatives in New York helped more than 3,000 fugitive slaves reach freedom between 1830 and 1860. Their defiance of the notorious Fugitive Slave Law inflamed the South. White and black, educated and illiterate, they were heroic figures in the ongoing struggle between slavery and freedom. 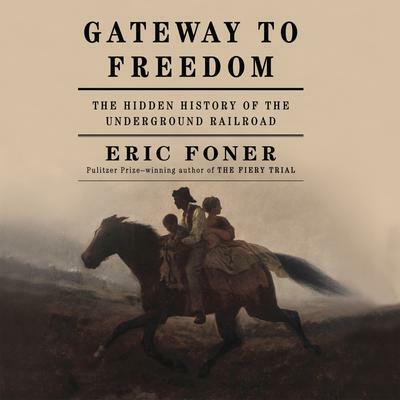 Making brilliant use of fresh evidence—including the meticulous record of slave rescues secretly kept by Gay—Eric Foner elevates the underground railroad from folklore to sweeping history.